Streets, buildings, and land divisions may be the most obvious features on a map, but each of these physical elements reflects how a community creates and uses its public and private spaces. Maps help us understand what matters to the people who live, work, and play in a town or city. The maps displayed here give a taste of some of the most enduring features of civic life – schools and voting districts, parades, and parks. 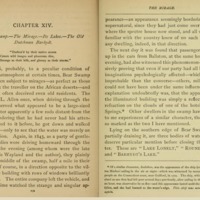 "The popular impression has been adverse to Saratoga as a place for schools--… because its educational advantages have not been adequately known." -- Saratoga as a National Education Center, Journal of Education, September 18, 1884, p. 187. In 1812, the village of Saratoga Springs built its first schoolhouse, on a lot originally laid out for Gideon Putnam . 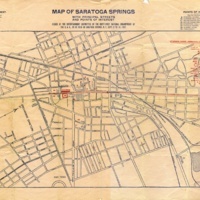 Schools have been on city plans and pictorial maps of Saratoga ever since then, while maps and globes, in turn, were drawn or used in many classrooms. By constructing "one of the finest high school buildings in the state" in the 1880s, “many citizens and guests" sought to replace the “popular impression” that Saratoga Springs was “adverse… as a place for schools” with the idea that it was a “national education center.” Summer institutes as well as academic year offerings by a range of schools—the Temple Grove Seminary, Young Women’s Industrial Club (now Skidmore College), Saint Faith’s School, and Eastman Saratoga School of Business among them—suggest they had a point. Today, Saratoga Springs, with a vibrant public school district and private and parochial schools and as home to Skidmore College and Empire State College, still lives up to the Journal of Education’s 1884 plan, Not only are schools on city maps, but plans of school buildings and campus maps are a steady staple of Saratoga Springs' cartography diet. Commercial pictorial city maps appealed to nineteenth-century urban residents and tourists alike. 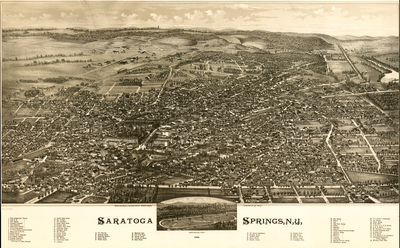 This 1888 aerial view of Saratoga Springs by Troy-based lithographer L.R. Burleigh draws readers to a busy, tree-filled setting. 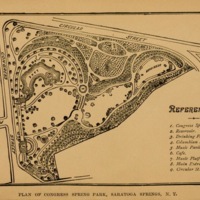 Pictorial but realistic-looking buildings, monuments, and parks share space with an inset drawing of the Saratoga Race Track. The town water and gas works, machinery shops, a brickyard, and a cracker bakery highlight local business and infrastructure. The many religious institutions, schools, and parks emphasize Saratoga Springs’ vibrant civic institutions. Railway tracks weaving through downtown show where and how people arrived and departed on the Delaware and Hudson (D. & H. R.R.) and Falls (F.R.R.) Railroads. 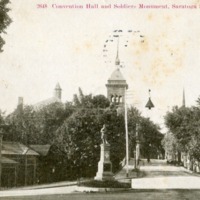 Saratoga has turned out for its share of parades, from late nineteenth-century Floral Fetes and funeral processions to civic organizations’ events. Such ephemeral events, however, rarely get fixed on a map. An outstanding exception is the 1907 Map of the 41st National Encampment of the Grand Army of the Republic (G.A.R. ), an organization of Union army Civil War veterans whose meetings celebrated what Commander-in-Chief Robert B. Brown called “the heroic deeds of other days … more and more estimated at their true worth as years go on.” Much committee work for the G.A.R.’s 1,618 members involved establishing Civil War memorials such as the one now standing inside Congress Park (and seen on this postcard). For more on this map, and it's unusual representation of movement, click here. Over the years, public and private park spaces have emerged not just downtown but in neighborhoods, near schools, or on institutional grounds, to serve old and young, visitor and resident, casual strollers and serious athletes. 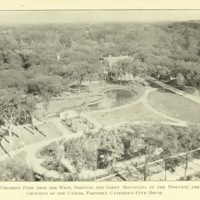 Since the early 1800s, Congress Park has been a place in the heart of the city for taking the waters, walking, talking, and listening to music. 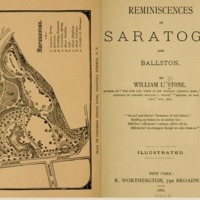 The plan included in William Stone’s Reminiscences of Saratoga and Ballston (1880) shows the park after its redesign by Frederick Law Olmsted and invites readers to imagine themselves enjoying such activities before it became a village park, doubled in size, and welcomed the Spirit of Life in 1915. 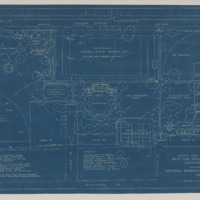 Philip Reisman’s sketch map of Yaddo captures a personal take on outdoor setting for members of this artist’s colony on the former country estate of Spencer and Katrina Trask. 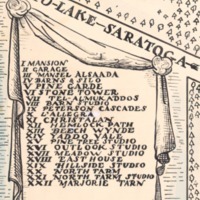 Whether thinking, writing, making music or strolling, the artists in residence at Yaddo in the 1930s roamed a park-like setting and lodged in studios recently converted from a model farm’s barns and stalls. Today as in Reisman's day, the mansion and Italianate rose garden welcome visitors. But in the late 1950s, North Farm and North Farm Studio were cleared for I-87 (the Northway), and its Exit 14. 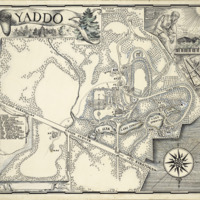 Yaddo leases the 150 acres that are now across the highway to Saratoga National Golf Course. Five new live-work studios will be built this year along with four lake named after the Trask children. Mid-twentieth-century municipal parks were more deeply woven into the urban fabric than Congress Park. 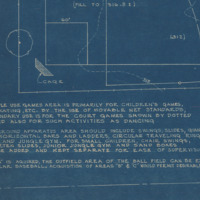 This 1945 plan for a city park and recreation area in the land around School 1 (Division Street School) is an ambitious idea for a park space for both children and adults. Athletic activities included tennis, croquet, and baseball. Never fully achieved, this vision of a park as playground for the community was compatible with post-war dreaming of spaces for recreation and athletics. It also fit with the city’s broader vision, as seen in Samuel Mott’s map for Saratoga Looks to the Future (1949).